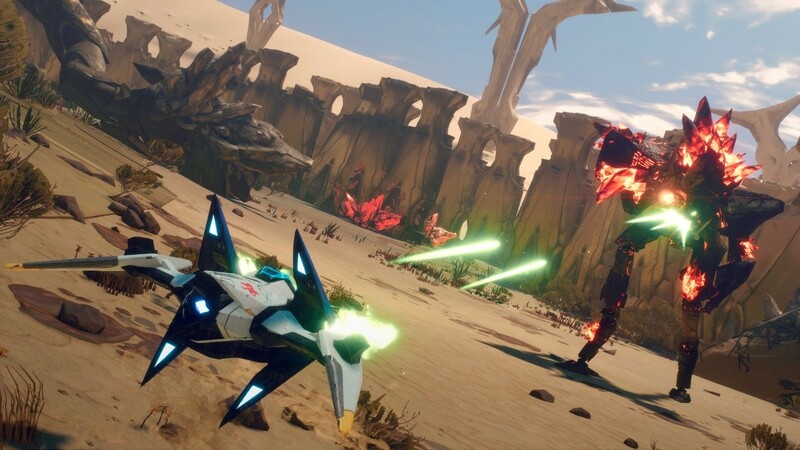 Starlink: Battle for Atlas comes across as very, very confused. In theory it’s Ubisoft's take on toys-to-life , much like Skylanders or Disney Infinity, and certainly Ubisoft would love for people to buy its plastic spaceships and little heroes. But then it undercuts itself because everything that the toys unlock in-game can be purchased as digital DLC. It that isn't confused enough, Starlink positions itself as this grand interplanetary space adventure filled with spaceships and dogfights… but as soon as you get to one of those planets, your spaceship is then locked into hovering just a few metres from the ground and from there the action actually more closely resembles a ground-based sci-fi shooter. Don't get me wrong; Starlink is very good. It just comes across as very, very confused. What the development team at Ubisoft have done especially well with this game is give it an immediate sense of character and lore. This is perhaps helped on the Nintendo Switch through the inclusion of the Star Fox crew (who are, surprisingly, quite deeply woven into the narrative, given that they’re a platform-exclusive and rather cynical bonus). Being able to take control of Fox in those earlier stages of the narrative helps to create enough immediate interest and grounding to sustain the story as the other characters to establish themselves. I didn’t think I’d become so invested in Starlink’s narrative. At the very early stages, everything from the character design and animation, to the voice actors, was hitting me with “cheap Sunday morning cartoon” vibes, but over time, Starlink shows itself to have a great sense of humour and personality, and that cartoon vibe becomes a rather charming, it blatant hit of nostalgia from a game development team that likely grew up dreaming of these exact kinds of stories. As the story developed further, I started to find that initially grating tone charming and innocent enough fare, what with its exaggerated sense of exoticism from one world to the next, and the caricature nature of the game’s principle villains. The "exotic" is appealing for a reason, of course, and exploring the worlds of Starlink has that same sense of thrill that got people (including, no doubt, these developers) invested in the early eras of Star Trek. Starlink actively encourages you to explore each planet, completing little missions like scanning the wildlife to learn more about them, and rustling up rare materials and compounds. Mechanically it’s Ubisoft’s old icon-filled map trick, of course; give players so much content that they end up paralyzed over what to do next and somehow end up thinking this is wonderfully deep open world design. But at the same time, there were less of these icons that felt outright arbitrary and I found myself allowing the game to distract me from the main quest line with its shiny icons more than I let any other open world game that I play. This is also a beautiful game, which really helps to push the “exploring the exotic” theme. On the Switch, the beauty doesn’t so much come from the technical direction (side-by-sides with the other console’s versions aren’t exactly inspiring), but the art direction is spot on, with pleasingly alien colour palettes building worlds that look nice to speed through. The wildlife of the various planets is the real highlight, though it’s unfortunate that despite all this eye for detail, you never get a chance to jump out of the ship and wander around on foot. Rock up to a research base, and you can chat with the resident within, but when you do so, you remain in your ship, hovering just outside. The same goes for other friendly ships you come across. You can chat with them, but can't wander over to their ship to join them for a cup of coffee. I understand why this had to be done – it would have been ridiculous for Ubisoft to try and program in a whole other set of physics, movement, and perspective… especially when inevitably if the game let your character jump out of their ship, the very next thing that players would want to do is give them guns to go shoot down enemies with on foot… and Starlink doesn’t want to be Destiny. Despite that, being completely locked to your ship does take some of the perspective away. 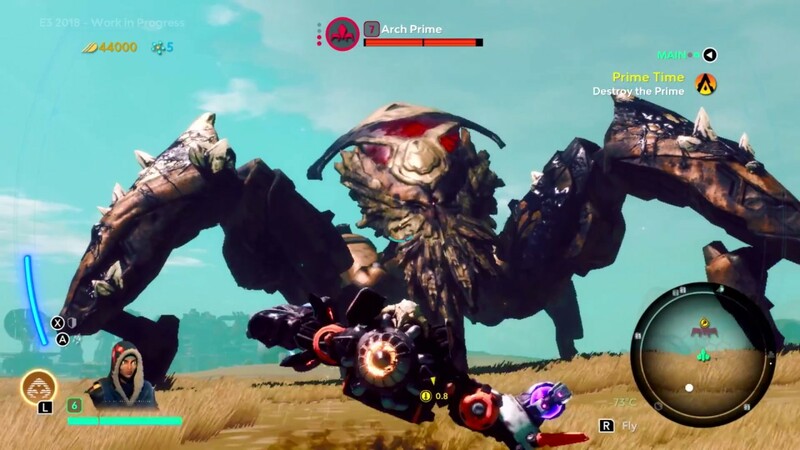 You spend so much time hovering just a few feet above the ground, fighting ground-based enemies, that Starlink feels too restricted for a game about spaceships. Spaceships by their very nature symbolise as close to freedom as humanity can imagine, and, restricted as it is here, it often simply doesn't feel free at all. This changes when you’re flying between planets. There you’ve got a full 360 degrees of movement, and when you encounter enemies, the screen explodes into a spectacular laser-filled dogfight, with those stunning planets and inky blackness of the space around them as the backdrop. The action is far more arcade in tone than other notable space dogfight simulators, but it’s genuinely good and hugely accessible, which marries up perfectly with the Star Fox ethos. Those are the very best moments of Starlink, and thinking ahead to possible sequels, Ubisoft would do well to either give people more freedom on the ground, or make the space travel a much more significant slice of the overall pie. 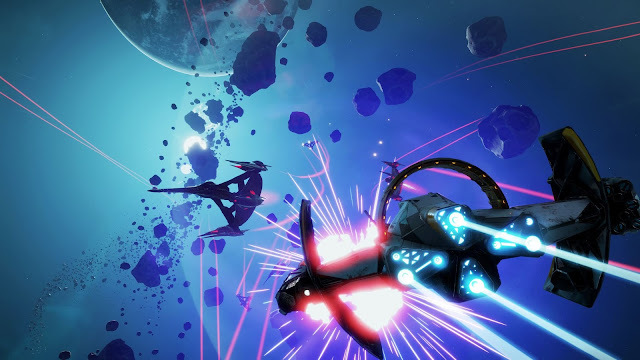 As you’d expect from a toys-to-life game that allows you to build your own ships, customisation is a big deal in Starlink, and the range of weapons and ship designs that you have to play with hits a spot-on balance between variety and accessibility. Each piece can also be further customised with attachable powerups earned through play, giving the game a very Destiny-like approach to “RPG gameplay,” through without anywhere near the same sense of soul-crushing grind that Destiny threw players into. That, too, is for the better. I mentioned at the start that the physical toys were completely unnecessary, and they really are pointless. If you buy the digital version of the ships and weapons that the toys represent, you can simply swap them in and out using an in-game menu. No need to touch a toy in the process whatsoever. To be honest, toy-free is the better way to play on the Nintendo Switch anyway, since that way you can play in handheld mode. To play with the toys you need to detach the Joy-Cons from the console and then connect them all up. It’s really only practical (if you could call it that) when playing in handheld. That being said, the toys are actually really nicely detailed, and clearly pitched at a slightly older audience than Skylanders and Disney Infinity was. As such, they almost work better as collectibles for fans than anything that enhances Starlink’s gameplay. It’s odd, because this is the first Starlink game so it’s premature to be trying to sell collectible toy lines to do with it, but who knows? If this franchise can get some steam going, I can easily see people wanting extras of these toys, to preserve them in their packaging and all that nerdy stuff. Once you put aside Starlink’s somewhat confused nature and design, what you’re left with is a genuinely enjoyable open space adventure. It offers a fun little story (boosted by the presence of the Star Fox crew), enjoyably exotic worlds to scoot around, and tight, clean, and efficient combat. 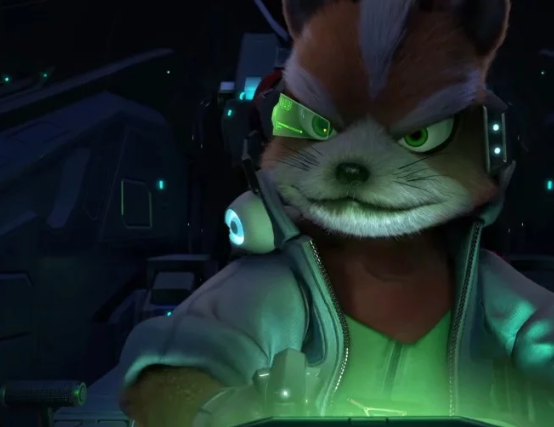 Remembering that ultimately Starlink is aimed at a younger audience, it’s hard to argue that the development team have in any way gone wrong in delivering both something new, and something that recalls the nostalgia from their own childhoods.